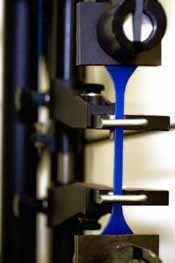 ATRO Quality Standards | ATRO Engineered Systems, Inc.
At ATRO Engineered Systems, using "off-the-shelf" polyurethane is out of the question. While other manufacturers practice "one type fits all" when it comes to using polyurethane, at ATRO we engineer polyurethanes specific to the part and its end use. 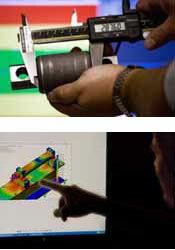 It's the foundation of our business and the reason we are the leader in heavy-duty polyurethane parts. Unlike rubber, polyurethane can be formulated thousands of different ways to perform under many different environments and stresses, whether heavy loads, harsh chemicals, extreme temperatures or everyday wear and tear. In order to design, analyze, test and ultimately provide products to counter these conditions, our engineers use state-of-the-art technology and methods to ensure the consistency and performance of every batch of polyurethane, and the real-world practicality of every design. We've built our company on determining the absolute best formulation of polyurethane for your specific part and application and utilizing the absolute best design, so it's right . . . every time. Since ATRO's proprietary polyurethane formulas are designed for a specific part and application, our Quality Assurance department is vital. Whether it's the first prototype of a new product or a polyurethane we've been producing for 20 years, QA testing never ends. Not only are we an ISO 9001 registered organization, but we go above and beyond the stringent ISO 9001 requirements. The quality of our products is just the beginning. Like the quality of our talented and loyal employees, many who have been with us since ATRO's inception; the quality of our prompt, personal customer service; or the quality of our diverse aftermarket distributor network, offering products that perform like ours is simply not possible without demanding quality in every aspect of our business.